This guide will explain how to use NCK Pro box to write IMEI, Bluetooth address, WiFi address and Serial number to a Spreadtrum (SPD) Android device using NCK box Spreadtrum module. 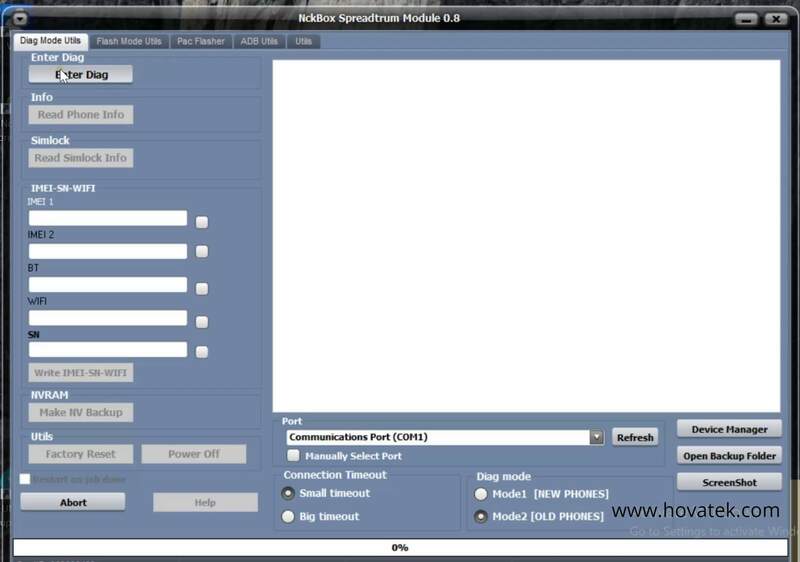 Quote: In this video tutorial, I'll be explaining how to write IMEI to a Spreadtrum Android device using NCK box Spreadtrum module. I've launched the module. You need to have the hardware box and have installed the module. 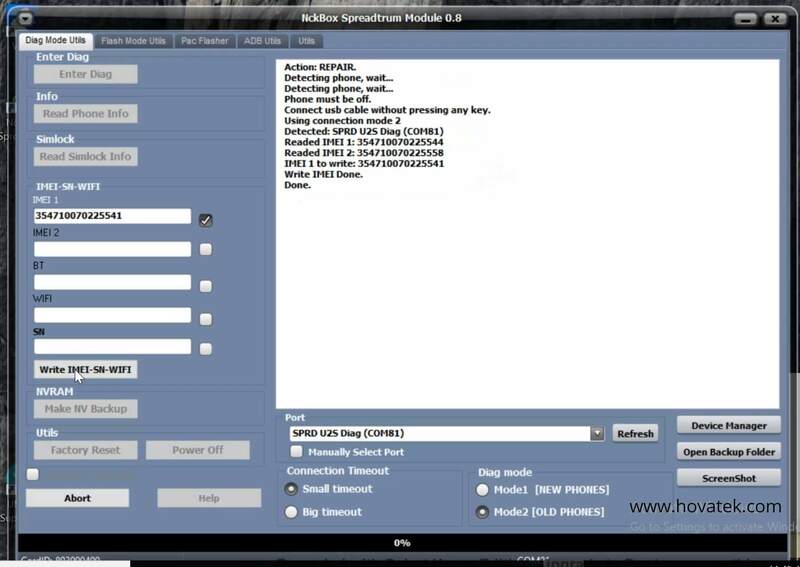 You also need to have installed Spreadtrum USB drivers and of course you need to have the IMEI which you intend to write. Now you wait for the dashboard to come up. Once it does, you come under Diag Mode at the bottom right and select based on your chip. This is an old SPD chip so I select Old Phone. Next you click Enter Diag. Now you power off the device, still with battery in, don't hold any button then connect to the PC and wait for the phone to enter diagnostic mode. You should get a done message. Once you get this, you come under Port and then click on refresh. Now from this drop-down you select the Diag Port. Next you come under IMEI-SN-WIFI and you tick the appropriate box based on what you intend to write. I'll be writing only IMEI 1 so I copy and I paste.